The idea for A United Kingdom first came into being in 2010, when actor David Oyelowo was working on the film 96 Minutes. Its producers, Justin Moore-Lewy and Charlie Mason, had bought the rights to Susan Williams’ s book Colour Bar, which detailed the remarkable story of Seretse Khama and Ruth Williams. Both felt liberated by the social upheaval that followed the war – Seretse sensed the opportunity for change as the Empire weakened, Ruth saw the possibility for a “bigger life” as women pushed for independence and equality. Despite the terrible pressures they faced, Seretse and Ruth never wavered – they fought for their love every step of the way, and in so doing changed their nation and inspired the world. “I remember very clearly Justin approaching me on set with the book, and handing it to me,” says Oyelowo. “I was so arrested by the image of the cover photo of Seretse and Ruth, looking very glamorous and happy. I knew nothing of them. I had no idea he was an African prince. “But I read the book and was just intoxicated by the power their love had over political establishments. Their love was such a potent thing. It wasn’t like Ruth had grown up in some political family and always had this conviction about racism. So it was very clear to me that their love was very pure and diamond-like; it was able to cut through all this prejudice they faced, having got married. But he told people he worked with and liked about Seretse and Ruth’s story. Two of these would be key in the story’s progress to film. Veteran producer Rick McCallum had produced a film with David in a significant role; Red Tails, about African-American pilots in World War II. He recalls: “I have filmed all over Africa but I had never heard about this amazing part of Botswana’s history. I was enchanted by the story and thrilled that David had brought me the book and that I could be a part of making this film. He was so passionate about the project – and it was so apparent from the minute that George Lucas and I met him for Red Tails that he was going break out as an actor in a big way. I warned David that it would take some time – that he would have to be patient until he reached a higher profile but we all agreed from that moment that we would not, under any circumstances, make the film unless David played the part of Seretse. It was also extremely important for David that he wanted to play a major part in controlling the future of his own work by helping to produce the film as well. One of the big frustrations for David was finding stories that contextualise what it is to be black, told from a black protagonist’s point of view. We also all agreed that it was absolutely essential that we shoot the film in Botswana. There was a tremendous amount of pressure for us to make the film in South Africa (because of the infrastructure and tax breaks), but all of us were in agreement that the only place for us to make the film was where the events actually happened. The moment everything changed was when we had our first meeting with Cameron McCracken [London based MD of Pathe and Executive Producer of the film] – he committed immediately (having worked with David on Selma) and from that moment we were on our way, eventually joined by the BBC, the BFI and Ingenious. Guy Hibbert is a screenwriter and winner of four BAFTA TV Awards for writing the dramas No Child of Mine, Omagh, Five Minutes of Heaven and Complicit. 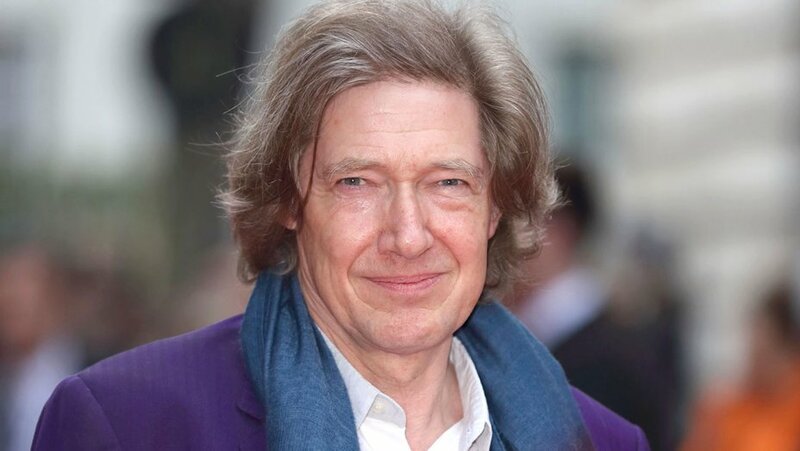 He also received a BAFTA nomination for his work on the television serial The Russian Bride. Most recently, Hibbert wrote the screenplay for the highly acclaimed political thriller Eye in the Sky on which he also served as executive producer. Two crucial roles in the production were still not filled, and once again Oyelowo’s connections were crucial: “I met Amma Asante when I did a TV series 20 years ago, Brothers and Sisters. That was one of my first jobs out of drama school. Then, in the middle of our search for a director, I saw her wonderful film, Belle. I talked to her about A United Kingdom and thankfully she responded to the material”. Rick McCallum was ecstatic about Amma Asante coming on board: “She is a wonderful director and an extraordinary woman – every single frame of A United Kingdom bears the unique perspective of her own life and history. She is relentless in getting what she wants and does it with a passion and sense of humour that enthused every member of our Czech, English, South African and Botswana cast and crew.” Asante worked intensively with Hibbert on the script, bringing her own take on the politics, the love story and the voice of the characters. 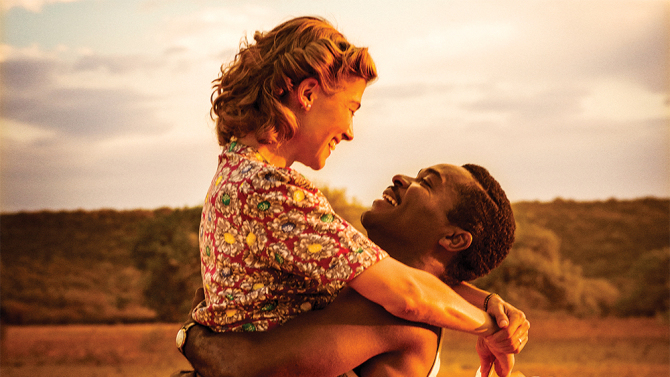 After six long years, A United Kingdom was at last ready to go into production. 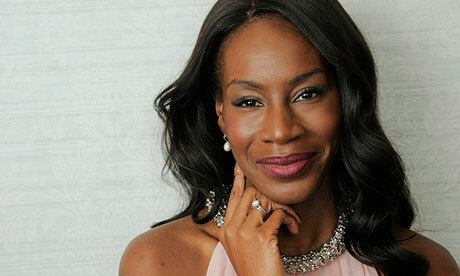 Amma Asante is a writer/director who debuted her feature film, BELLE, at the Toronto Film Festival in 2013 and received a strong reception and rave reviews. 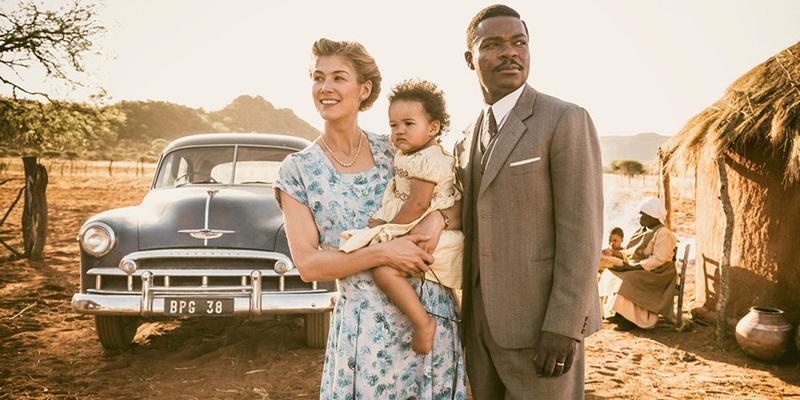 She was also honored with Variety’s Top Ten Directors to Watch in 2014., Asante’s most recent film A United Kingdom starring David Oyelowo and Rosamund Pike premiered at the Toronto International Film Festival. At the BAFTA Film Awards in February 2005, Asante received the BAFTA Carl Foreman Award for Special Achievement by a Writer/Director in a Debut Film. On the same night, she scored a double triumph at the 2005 Miami International Film Festival, winning the award for ‘Best Dramatic Feature in World Cinema’ and the FIPRESCI (International Federation of Film Critics) prize for ‘Best Feature Film.’ Asante made an unusual entry into filmmaking. As a child, Asante attended the Barbara Speake stage school in London, where she trained as a student in dance and drama. She began a television career as a child actress, appearing as a regular in the popular British school drama “Grange Hill.” She fronted the ‘Just Say No’ campaign of the 1980s and was one of nine “Grange Hill” children to take it to the Reagan White House. She went on to gain credits in other British television series including “Desmond’s” (Channel 4) and “Birds of a Feather” (BBC1), and was a Children’s Channel presenter for a year. In her late teens, Asante left the world of acting and eventually made the move to screenwriting with a development deal from Chrysalis. Two series of the urban drama “Brothers and Sisters” followed, which Asante wrote and produced for her Production Company and BBC2. Asante’s 2004 feature film, A WAY OF LIFE, was her directorial debut and premiered at the Toronto Film Festival as well. The film won Asante 17 international awards for her writing and directing including The BFI London Film Festival’s inaugural Alfred Dunhill UK Film Talent Award, created to recognize the achievements of a new or emerging British writer/director who has shown great skill and imagination in bringing originality and verve to filmmaking. Additionally, Asante collected The Times ‘Breakthrough Artist of the Year’ at the prestigious South Bank Show Awards for writing and directing the film. A significant factor in Asante’s decision to direct the movie was where its action takes place. “It’s set in Africa and London — the two places in the world that are most important to me. David’s passion was pivotal in convincing me to come on board, as was Rick’s tenacity and experience and his openness to my thoughts and ideas”. Asante grew up in Streatham, south London, the child of Ghanaian immigrants; initially she and her parents lived in a one-room flat. Her parents started out in menial jobs, then moved on; her father who had qualified as an accountant was employed by HMRC, while her mother ran their family owned deli. Asante identifies herself as ‘Black British,’ and thus views the world from a dual perspective that she calls ‘the extra eye’: “I’m the child of parents who were born and raised in a British colony and saw it achieve independence. From the age of four, I would go back to Ghana for summer holidays. My father raised me as a daughter of Africa. I know what independence meant to my parents and it therefore means a huge amount to me. This was the opportunity to tell the story of one African country’s journey to independence. “But I consider this as much a British story as it is an African story. It’s as much a part of Britain’s history as of Botswana’s. And it was important for me to walk in the shoes of all its characters. And that included the British politicians whose actions may have appeared stereotypically racist but whose motivation was to protect their national interest. I wanted to show the very real political predicament of the British Government. “I also made a deliberate choice to tell the story through the eyes of both Seretse and Ruth. Black audiences will recognise the experience of being ‘the other.’ But when Ruth arrives in Bechuanaland, it’s she who is the ‘outsider’ and she’s regarded with suspicion at first. So you’re dealing with the ‘other,’ whether it’s him in London or her in Africa. Each is in the other’s land. I really wanted to show Ruth desperately seeking to be accepted by the people of Botswana – she was not a “white saviour”, she needed them to support her, and it was as part of that community that she and the Bangwato become masters of their own fate”. Amma’s previous work underlines her interest in stories that explore national, racial and cultural barriers and issues of social justice and equality. Her first film, A Way of Life (2004) (which she wrote and directed), dealt with three bigoted white teenagers in Wales who persecute a Muslim neighbour; it won many writer and director awards internationally, including a BAFTA for writer/director in a debut film. The title character in her next film, the highly praised Belle (2013), was a young woman who was the daughter of a British admiral and an African slave, raised in the 18th century in a grand stately home as part of a wealthy family. Her guardian was Britain’s Lord Chief Justice, who later passed legal rulings that led to the abolition of slavery. In terms of the decisions she made in shaping the film, Amma credits Colour Bar, Susan Williams’s biography of Seretse and Ruth: “It had a massive input on the choices I made.” She cites the book’s references to Seretse’s sister Naledi and Ruth’s sister Muriel as being ‘key’ to broadening the story’s context; they enabled her to flesh out those characters. “I think we’ve now reached a point where we can tell African stories through the eyes of African characters and that’s incredibly important to me” says Asante, “It means people of colour can be the centre of their own stories. Our story is Ruth’s and Seretse’s love story, but I wanted to make sure this was not just a story about their love. What attracted me to Ruth and Seretse was not so much the fact of their interracial marriage, but what flowed from it – the unique political fallout and how they endured such intense prejudice. I am always drawn to stories of people who fight for what they believe – the fact that Seretse and Ruth fought for their love and their country is what attracted me to their journey”. “Bechuanaland was one of a number of ‘protectorates’ within the Empire, where local rulers kept some of their traditional powers but were subject to British overrule. Bechuanaland was lightly colonised because it had little to offer Britain: it was largely semi-desert, and diamonds and other minerals had yet to be discovered. The white population was small, and both racial inequalities and segregation were firmly established. There was no administrative capital within the territory, and British affairs were run from South Africa, through the British High Commissioner. The protectorate was managed on a shoestring, with limited resources available for education and health care. Many Batswana were malnourished, and it was estimated that at least a third of all babies died before the age of five. “There was a strong sense of duty and obligation between Seretse and Tshekedi for the sake of the nation,” she says. “They put aside their differences for the common good and the sake of the people. I draw a parallel here with Nelson Mandela. She praises director Amma Asante’s attention to detail: on one occasion Amma called Susan from Botswana to check the pronunciation of a character’s name. “They got it slightly wrong, so Amma reshot the scene,” Susan reports. In pre-production, she received emails from producer Rick McCallum. “They were trying to find the exact house where Seretse and Ruth first lived in Serowe. I told them about it, where I thought it was situated. People were trying to find the house. They could have found another, but they wanted the real one. To me, that’s part of why the film’s so moving.” When Ruth died in 2002, Susan’s husband showed her a newspaper obituary about Lady Khama, as she had become: “He said: ‘this is your next book.’ And I could see it was an inspiring story.